While most of us can only dream of the possession of the fastest car in the world, some are willing to do anything to experience the greatest speed. So, how fast are the fastest cars in the world? The following is a list of 10 high-speed cars available on the market (production models, not modified), with a measured top speed (theoretical speeds do not count). The list is as of the 2012-2013 year. 1. 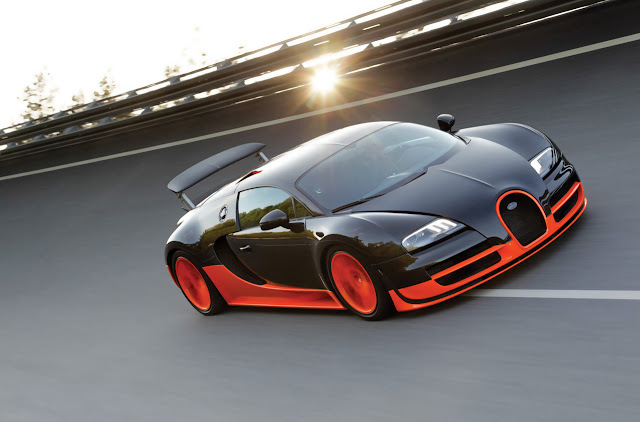 Bugatti Veyron Super Sport: 267 miles per hour (429 km / h), 0-100 for 2.4 seconds. 8-liter W16 engine with 1200 hp. a., base price is $ 2,400,000. 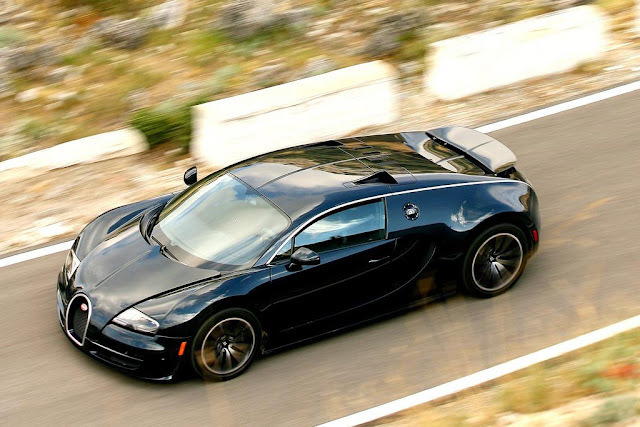 Although the Bugatti Veyron lost the championship in March 2007, Bugatti soon returned with a new, sportier version of Super Veyron and again won the title of the fastest car in the world. An ordinary Bugatti Veyron top speed - 253 miles per hour, it costs $ 1,700,000 and equipped with an engine from 1001 liters. with. It is also one of the most powerful cars at the moment. 2. The second place is shared by two cars. 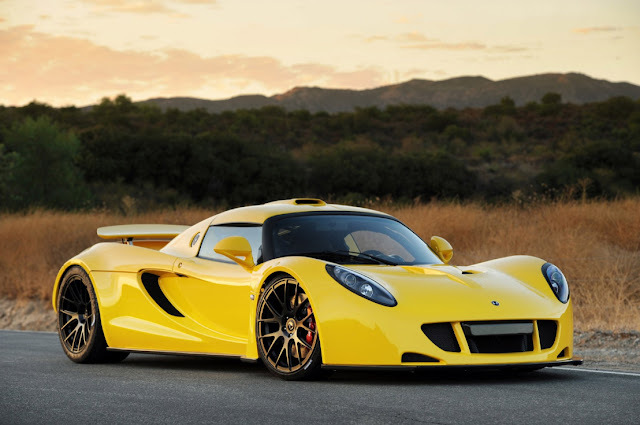 Hennessey Venom GT: 260 miles per hour (418 km / h), 0-100 in 2.5 seconds, 6.2-liter V8, producing 1,200 liters. with. The price tag $ 950.000. It is the closest competitor Veyron Super Sport! 3. In third place is also found two candidates. 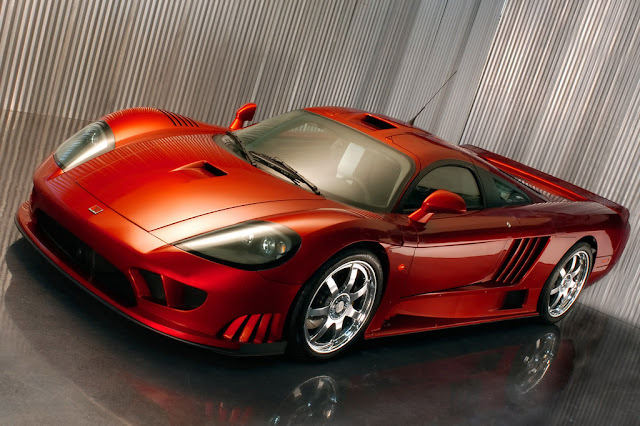 SSC Ultimate Aero: 257 miles per hour (413 km / h), 0-100 for 2.7 seconds. V8 engine from 1183 liters. a., the price is $ 654.400. Once in March 2007 in the Guinness Book of Records, it was the fastest car in the world from March 2007 to July 2010. 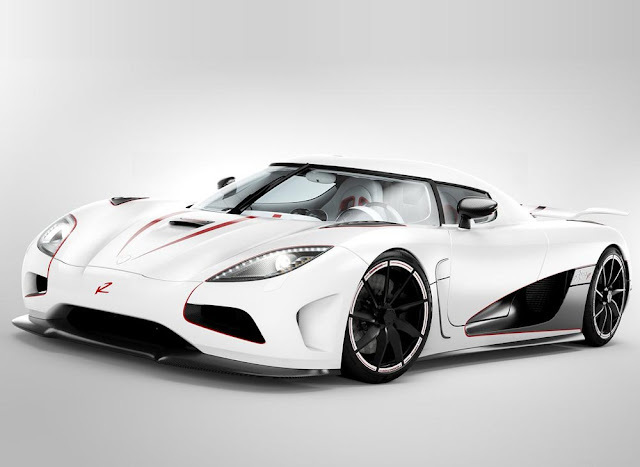 In March 2011, Koenigsegg Agera R also surpassed it, pushing into third place. 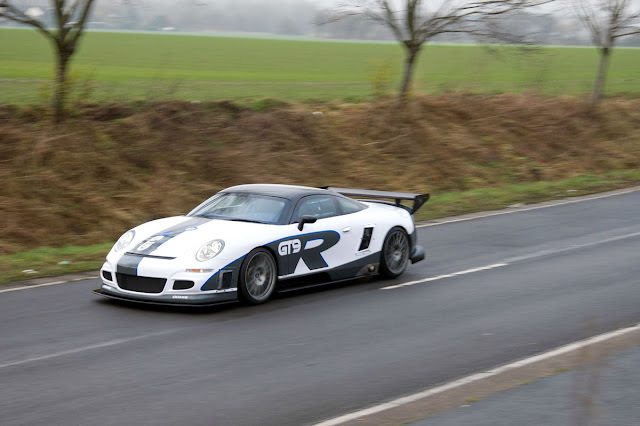 Next model - 9ff GT9-R: 257 miles per hour (413 km / h), 0-100 at 2.9 sec. 4.0-liter V6 engine with 1120 liters. a., the price is $ 695.000. Building on the Porsche 911, 9ff GT9-R version of the 1120 l. with. issued in the amount of 20 cars, and its appearance can be changed by the owner. 6. 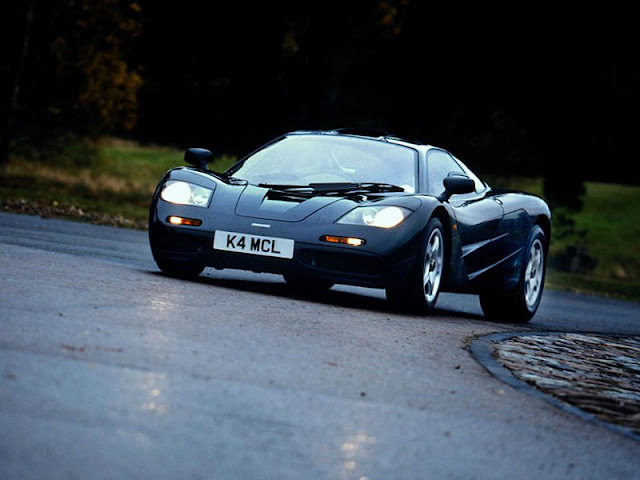 McLaren F1: 240 miles per hour (386 km / h), 0-100 in 3.2 seconds. Engine BMW S70 / 2 V12 from 627 liters. a., the price is $ 970.000. The fastest car in the 20th century, with the doors like bat wings. 7. Zenvo ST1: 233 mph (374 km / h), 0-100 for 2.9 seconds. 7.0-liter V8, issuing 1.104 liters. with. Starting price: $ 1,225,000. The first supercar from Zenvo, the Danish company that produced sports car with a balance of speed and perfection. This 100% but the Danish car is limited to 15 copies. 8. Gumpert Apollo: 225 miles per hour (362 km / h), 0-100 for 3.0 seconds, 4.2-liter V8 engine and 650 hp. with. Price: $ 450.000. Gumpert claims that the Apollo was designed in such a way that it can move up-down in the tunnel at a speed of 190 miles per hour or higher. Of course, no one has tested it. 8. 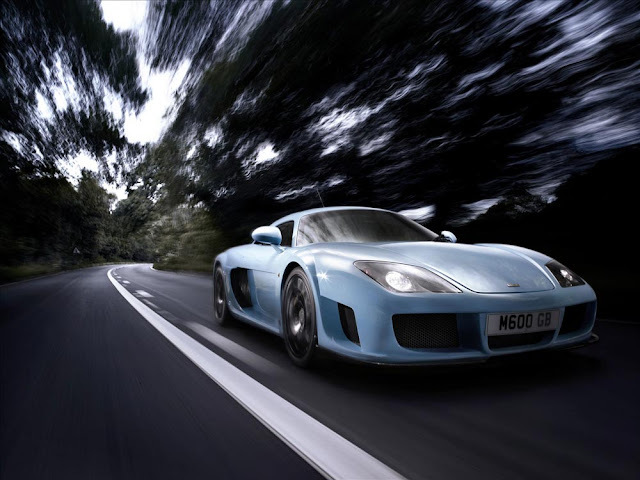 Noble M600: 225 miles per hour (362 km / h), 0-100 in 3.7 seconds. Twin-turbocharged 4.4-liter V8 engine with 650 hp. with. The starting price is $ 330.000. 9. 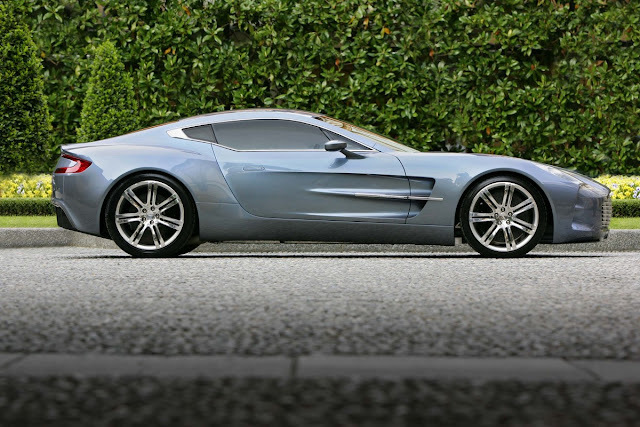 Aston Martin One-77: 220 miles per hour (354 km / h), 0-100 in 3.4 seconds. 7.3-liter V12 engine with 750 hp. with. Cost: $ 1,850,000. Production was limited to 77 models, hence the name One-77. This is - the beauty and power, put together. 9. 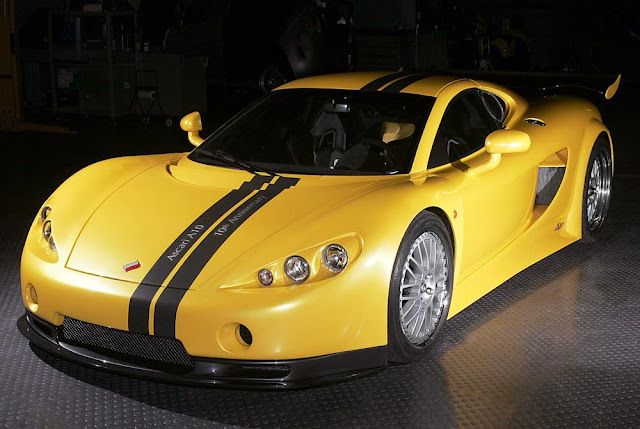 Ascari A10: 220 miles per hour (354 km / h), 0-100 for 2.8 seconds. 5.0-liter BMW V8 S62 with 625 liters. with. Price: $ 650.000. The company planned to produce 50 of these supercars at the factory in Banbury, England. 9. Lamborghini Aventador : 220 miles per hour (354 km / h), 0-100 pf 2.9 ctr. V12 Engine with 700 hp. a., the price is $ 379.700. 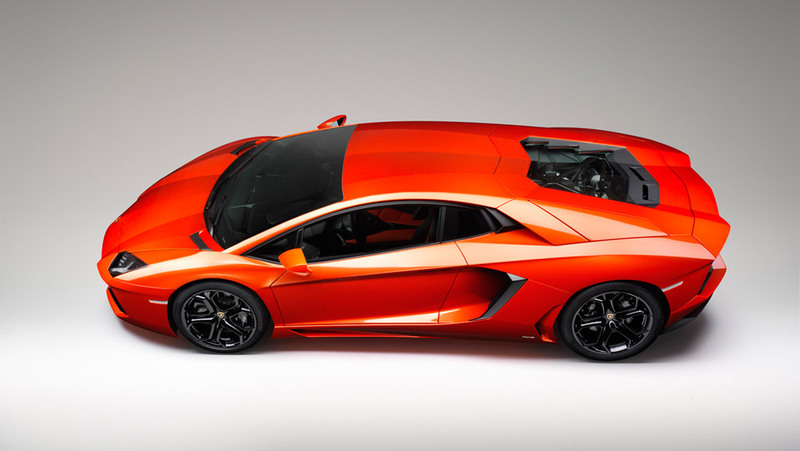 According to Lamborghini, Aventador - the name of the Bulls, who fought on the Saragossa Arena in October 1993. This - the fastest bull in the world! 10. Tenth place in the list of the fastest cars in the world shared just three supercar. 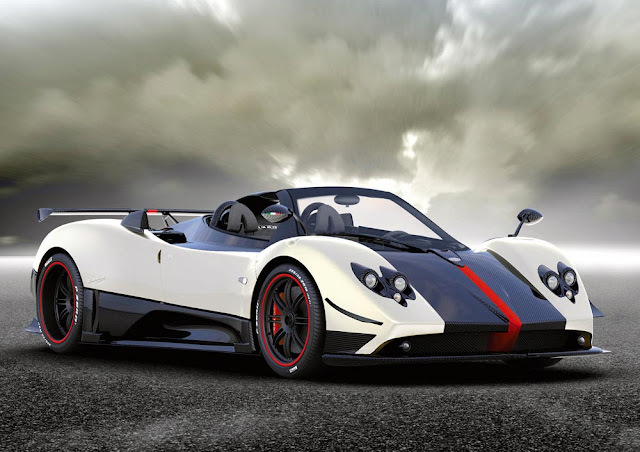 Pagani Zonda Cinque Roadster: 217 miles per hour (349 km / h), 0-100 in 3.4 seconds. AMG V12 engine that produces 678 liters. with. The price is $ 1,850,000. Roadster Pagani Zonda - small-lot car, produced only five copies. 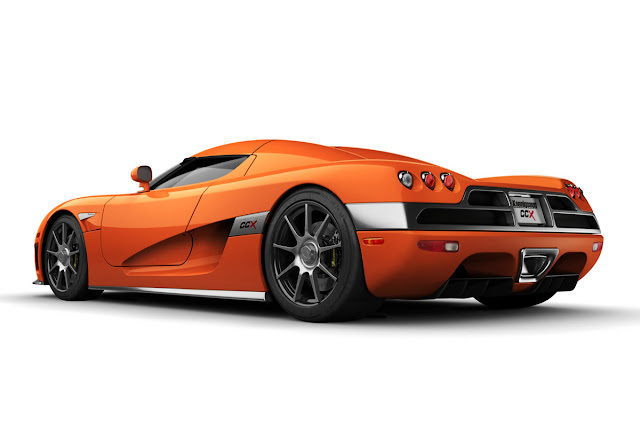 This is the most exotic and exclusive supercar in existence. 10. 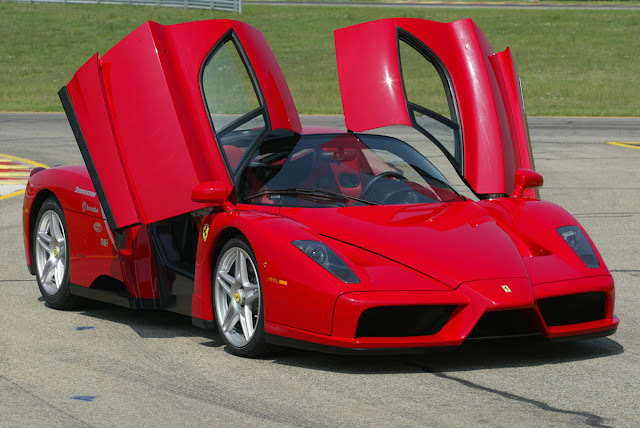 Ferrari Enzo: 217 miles per hour (349 km / h), 0-100 in 3.4 seconds. F140 V12 Engine with 660 liters. a., the price is $ 670.000. Only 399 models produced, the price goes up every time one of the models involved in a collision. 10. 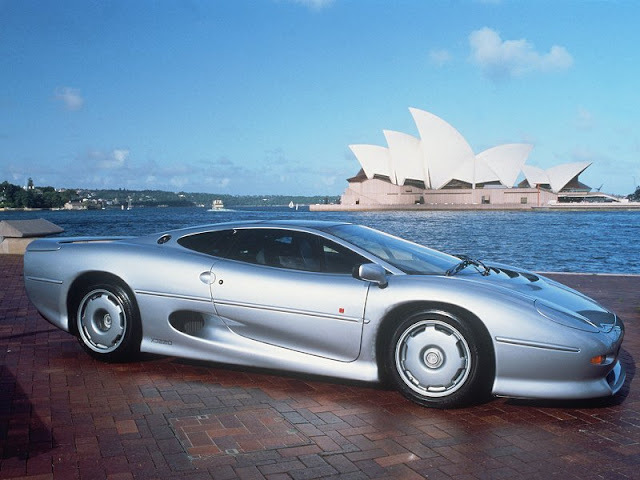 Jaguar XJ220: 217 miles per hour (349 km / h), 0-100 for 3.8 seconds. V6 engine with 542 liters. a., the price was $ 650.000. Made in 1992, this car is still on the list.